We talk about girl sh-t and boy sh-t and sibling sh-t a lot on this site. We love this sh-t, especially when it involves petty AF celebrities. 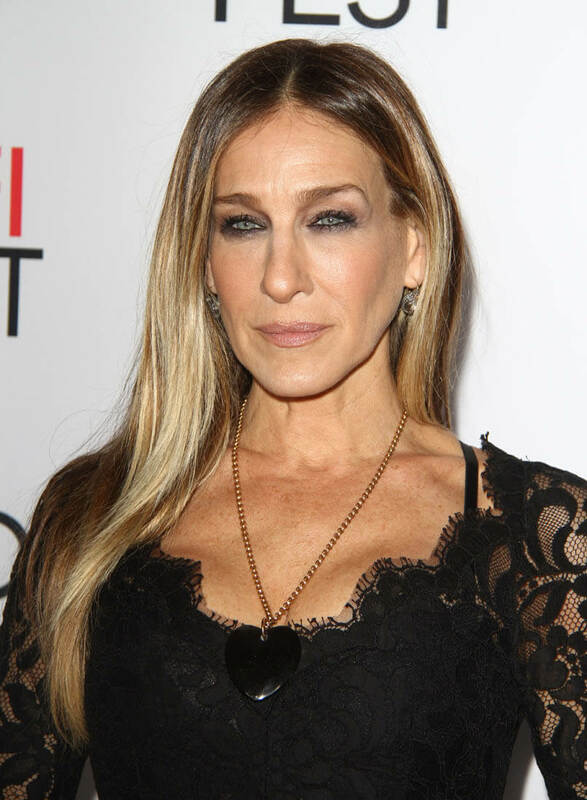 Sarah Jessica Parker and Julianna Margulies also love talking girl sh-t. 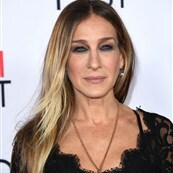 In a new clip from Chelsea Handler’s Netflix show Chelsea, SJP and Julianna field questions about “girl breakups” from a fascinated Trevor Noah. Sarah Jessica Parker and Julianna Margulies have portrayed two of my all-time favourite female characters on television (Carrie Bradshaw and Alicia Florrick, obviously) and my imaginary boyfriend Trevor Noah is smart, funny, HOT and really coming into his own on The Daily Show BTW, if you aren’t watching, so this dinner party is basically ripped from my dreams. You know, except for the fact that Chelsea Handler is there. I’m not a Chelsea fan (reasons A, B and C) so I probably won’t end up watching this full episode but I’m all about this topic. Watch Trevor be adorable, SJP be very SJP and Julianna Margulies show off her arms for yourself and meet me on the other side. 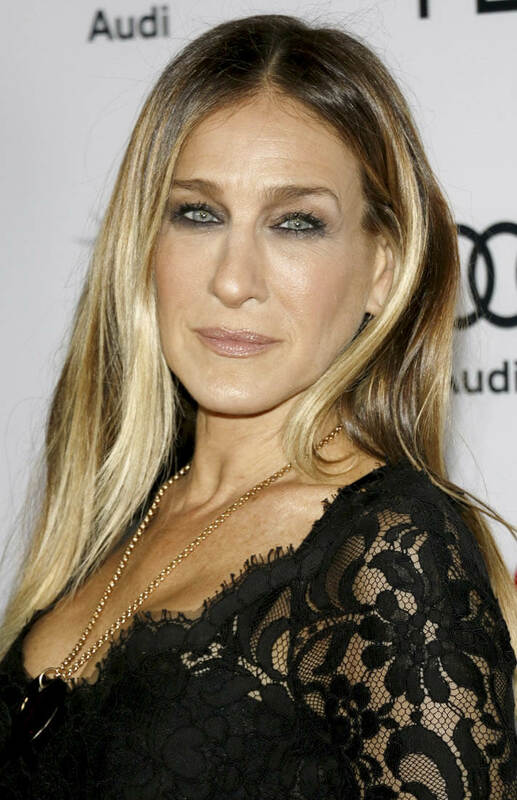 SJP throwing shade at Bravo’s housewives is my favourite. 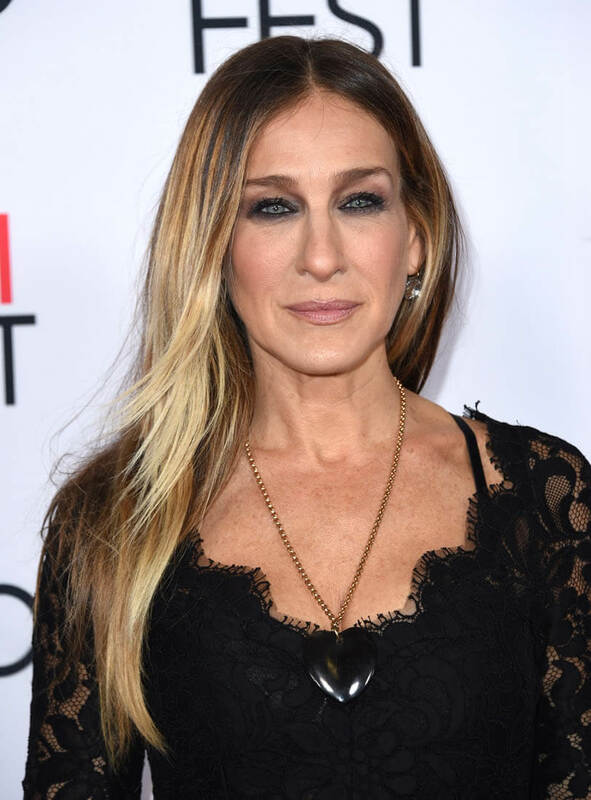 Trevor kicks off the convo with a simple question: “Why does it feel like females have breakups of friendships whereas guys do not?” SJP swears this is a thing only reserved for “housewives” but Julianna and Chelsea beg to differ. Julianna blames it on emotions. When I’m not crying at movies or TV shows or trailers or commercials, I’m pretty much a cold, heartless b-tch IRL so I usually hate it when people throw around the “woman are so emotional” bullsh-t BUT when it comes to friendships, I do think women are more emotionally invested. I don’t think I’ve ever agreed with Chelsea Handler on anything but I’m with her when she says that the reason girls are more sensitive in friendships stems from growing up with rejection and a sense of not fitting in. It’s a beautiful thing for a girl when she finally finds her people (I refuse to say “squad”) or the women who will ride or die with her and cuss out anyone at any time just because she asks them to. When that sh-t falls apart, it isn’t easy. I broke up with a girlfriend a few years ago and it was the hardest breakup I’ve ever gone through – aside from Pacey and Joey’s first breakup on Dawson’s Creek. I still have to pass my first love in the hallways at work but breaking up with my best friend from high school was way harder than being dumped by the guy who sat two desks over. So, when I saw first saw this clip, I immediately thought of my “girl breakup” and then, I remembered Julianna Margulies’ very famous girl sh-t with her The Good Wife co-star Archie Panjabi. Now that I think of it, watching their characters Alicia and Kalinda break up on screen was way more traumatizing than that Pacey and Joey split. To recap, Alicia and Kalinda were work besties, two badass boss women who loved and respected each other. Then, something happened behind the scenes between Margulies and Panjabi which resulted in their characters never appearing in the same scene for seasons, even when they were supposed to be in the same scene. It was a mess. 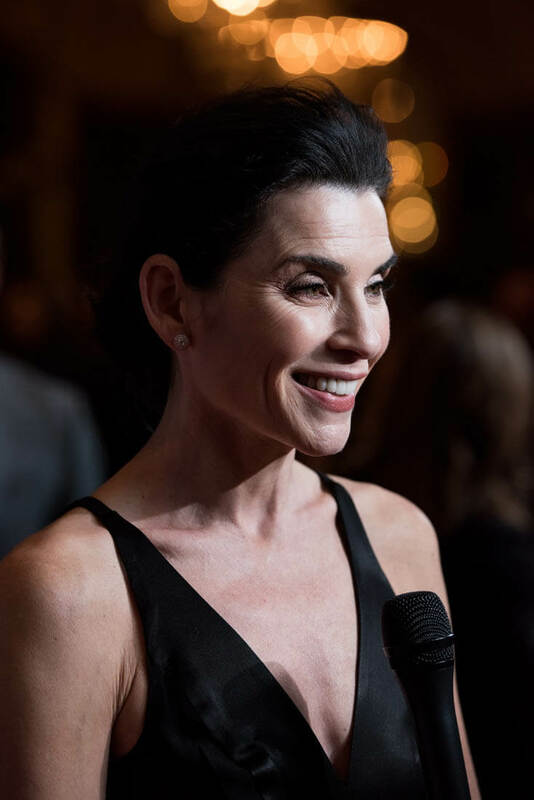 Julianna Margulies still denies there was girl sh-t but we all know there was. As much as the story about fighting with her sister in the Chelsea clip is cute, I wish she’d have brought the real talk and explained WHAT THE F-CK HAPPENED between her and Archie Panjabi. 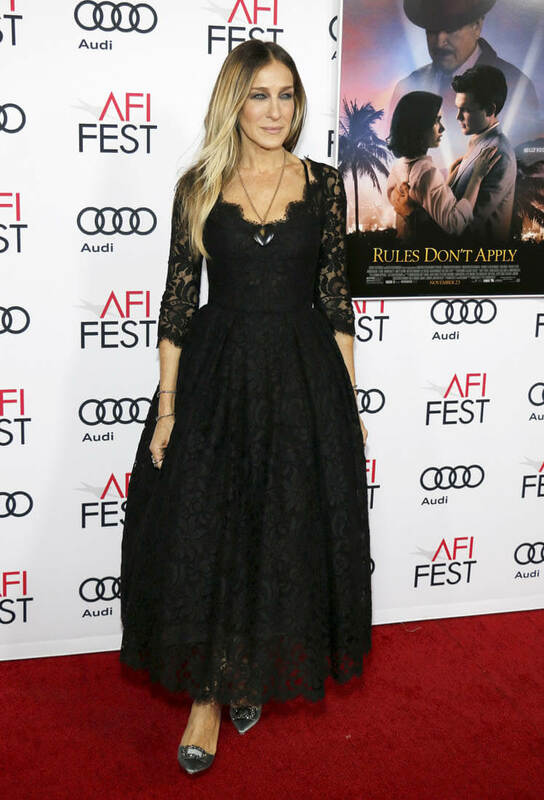 Here is SJP at the premiere of Rules Don't Apply and Julianna at a gala in New York last week.